I really like the Fuji SL 1.1 frame, the one thing that is steering me away from it is the fact that it is the fact that, it uses PF30 Bottom Bracket (SRAM RED Ceramic bearings), and I have heard lots of bad things about PF30 BB, they are creaky and wear out quickly and in general should be avoided. Even some people went into the trouble of installing a threaded bottom bracket adapters for their bike frames that come with PF30. Is PF30 really that bad? 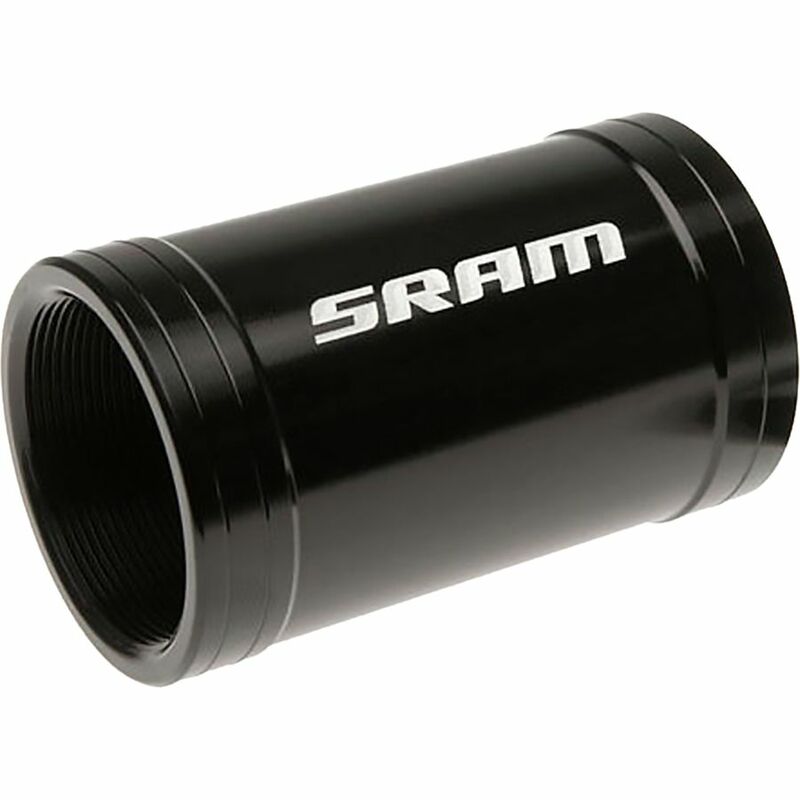 Are SRAM RED PF30 Ceramic bearings bottom bracket a bad choice or are they an exception to press fit BBs and they do actually work well? Ceramic bearings on a bike are a ridiculous waste of money. Period. The ONLY advantage ceramic bearings have is in ultra-hot situations and ultra high-speed usages (like in a jet engine). Ceramic bearings in a bicycle are merely a status symbol, costing extra money while providing nothing. It's just the latest way if getting road cyclist to waste money on some douchey gadget. Every year or 2, it's something new, and I've seen quite a few (like the $10 titanium water bottle cage bolts about 15-20 years ago...). I've seen PF30 be ok for years (my personal bike and others) and I've seen PF30 make noise/go bad in 6 months. Most manufacturers are producing bikes with PF BB designs, so it's hard to get away from it. It's just something that needs to be kept an eye on, just like threaded BB's. Still have to remove threaded BB's and clean and grease them occasionally too. For me PF30 is not a deal breaker when looking at a frame. As far as ceramic goes vs stainless steel, it will lighten your wallet by about 100% more than stainless. And ceramic pertains to the ball bearing, not the resin cup that gets pressed into the frame. If the PF30 is a problem you can chuck it in the trash and get a thread together bb that will fit into the 46.0mm frame and they're usually very quiet. They are not an adapter, it's a pairof alloy cups that thread into a central sleeve instead of just being pressed into the frame. And since they are not visible to the casual observer, you won't pick up any hot women with them the way you will with a 16 spoke radial laced 50mm deep aero front wheel. To be fair to OP, it's coming stock on the bike, he's not talking about adding it aftermarket. I can't imagine it's a big factor in driving up the overall cost of the bike in this case. Thank you...Can you please shed more light into the process. Won't I need to thread the frame in that case? it is all coming as one package so price is not a big factor here. I don’t have any experience with PF30 because I choose only frames with threaded bottom brackets. If you’re looking for carbon frame with threaded bottom bracket then there’s Specialized Tarmac Disk Sport, Specialized Roubaix Sport, Pinarello’s, and Bianchi Intenso. Rode with friends on long group ride, and a friend on a Giant has a creak/click (not sure if it was bottom bracket). Was annoying to hear and must be worse if the creak was coming from your own bike. Google image search 'PF30 thread together bottom bracket'. The bb doesn't thread into the frame it threads into itself. it is very helpful to know I won't be stuck with a potentially creaky pf30 BB that comes on the fuji that i like to get. No big deal if it comes stock. Just replace it with a regular bearing if/when needed. Beware... the threaded adapter/BB's only work with 24mm spindle cranks. According to the specs that bike comes with SRAM RED carbon w/30mm axle. I don't know of anyone making a threaded adapter that'll work with 30mm axle. It's not a threaded adapter, it's a bottom bracket where the 2 cups thread into the central sleeve. They still press into the frame but because all 3 pieces thread together they do a great job of eliminating cup movement and therefore noise. And they are available in 24mm, 22/24mm, and 30mm. I'd bet any minute we'll see on in 29mm for DUB. A bottom bracket is...well...a bottom bracket. The Praxis and Enduro parts are not adapters, they're bottom brackets. And Praxis calls it a "conversion". But they don't make a 30mm. First sentence in my last post..."Enduro for one..."
Indeed the Enduro stuff are expensive, I checked Wheels manufacturing. they do have the 30mm ones and yet half the price!!! That is not a threaded BB. It a press fit BB. It is exactly what I recommended a week ago. It's a thread together bottom bracket that fits in a 46.0mm PF bottom bracket shell. "Our original PF30 bottom bracket is a significant upgrade to any OEM PF30 bottom bracket. Two machined aluminum cups with replaceable bearings offer increased durability and bearing life, while keeping a simple press together method for installation and maintenance"
Oooops, you're right. That one is straight press-fit. The thread-together units are definitely the way to go. Token titanium bottom bracket with ceramic bearings!